Paul Arsenault has been painting Naples since 1974 when it was an unspoiled and relatively undiscovered coastal community. For more than 44 years, he has captured its heart and soul with a passion for preserving natural and architectural gems through his art. In NAPLES 2018 Paul shares twelve of his favorite haunts through a series of recent paintings. Whether you're a year 'round Neapolitan, a winter resident, or just passing through, this calendar will remind you of why Naples continues to charm. 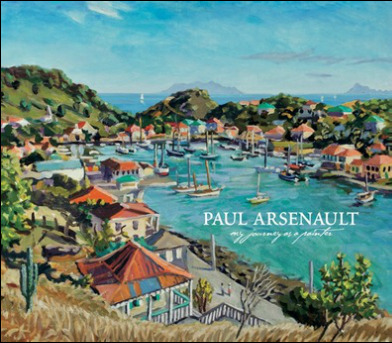 Paul Arsenault's life as a painter encompasses storybook adventure and compelling global encounters. To separate the man from his paintings is not possible, as it has been Paul's quest to indulge both his wanderlust and his passion for painting with equal intensity. Since 1974, he has emboldened his canvases with colorful tropical themes, maritime and waterfront motifs, disappearing cultures, and architectural trasures. Coming primarily from a Northeast landscape tradition, his style has evolved into an identifiable contemporary Impressionism that strives to show familiar scenes with fresh eyes and in their proverbial best light. Through the pages of his book, you are invited to participate in Paul's unique artistic perspective as you follow his journey as a traveling painter. 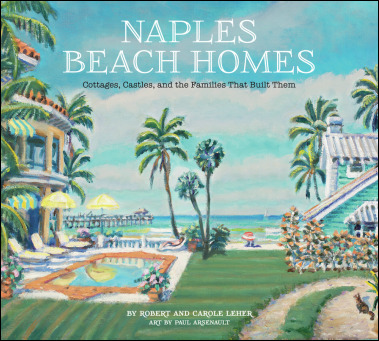 Net proceeds of this book will be donated to the Naples Historical Society.